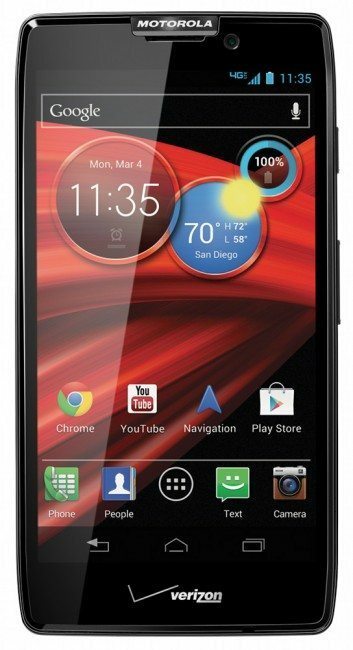 If you are over in the good old US of A and have had a hankering to purchase the Motorola Droid RAZR HD or the Motorola RAZR MAXX HD on the Verizon network, as today is the 18th of the month, you can now purchase the Motorola Android RAZR smartphone of your choice because Verizon has now put both devices up for sale. According to an article over on Droid-life, the Big Red has put the 16GB Motorola Droid RAZR HD up for sale in both black and white version commanding a price tag of $199.99 when signing up for the usual two-year agreement, whilst the devices will set you back 600-bucks off contract. For those that might have forgotten the Motorola Droid RAZR HD offers a 4.7-inch Super AMOLED Advanced HD touch screen along with an 8 megapixel auto-focus rear facing snapper with LED flash, 1.3 megapixel front facing camera, a 1.2GHz dual core processor, 1GB RAM, Bluetooth, WiFi, NFC, LTE, a 2530mAh battery, and Android Ice Cream Sandwich, although the Android Jelly Bean update is on its way. When it comes to the Motorola Droid RAZR MAXX HD, Verizon is offering the handset $299.99 when signing up for the same two-year term, whilst the full retail price will set you back $649.99. Spec wise the Droid RAZR MAXX HD offers the 4.7-inch Super AMOLED Advanced HD touch screen along with the same rear and front cameras, and everything else the same other than the battery being 3300mAh that is said to offer up to 32-hours of performance. So there you have it if you have been waiting to grab a bit of RAZR Android love from Verizon with these two smartphone you can now do so. Will any of our American readers be rushing out to purchase one of these?